An educational visit to Les Éparges, with Nicolas Czubak, member of the Learning Ressource Center. All rights reserved. This section of the website is designed to help teachers prepare for their visit. It includes all the details they require (practical information, documents for downloading, contacts etc.). 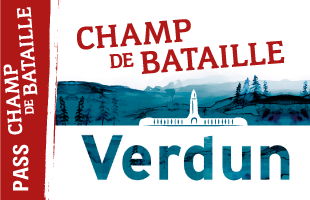 Every year, the Verdun Memorial Museum welcomes thousands of schoolchildren from across Europe and the museum has very close ties with the French Education Department. 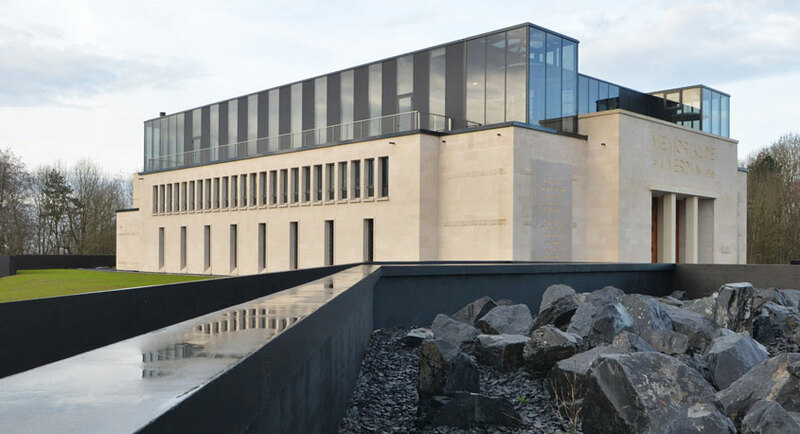 The Learning Resource Centre, which enjoys strong support from the Inspection générale d’histoire-géographie and the DAAC (Délégation académique à l’éducation artistique et à l’action culturelle), is well-known for its programmes and events. More and more of them are based on a multidisciplinary approach. 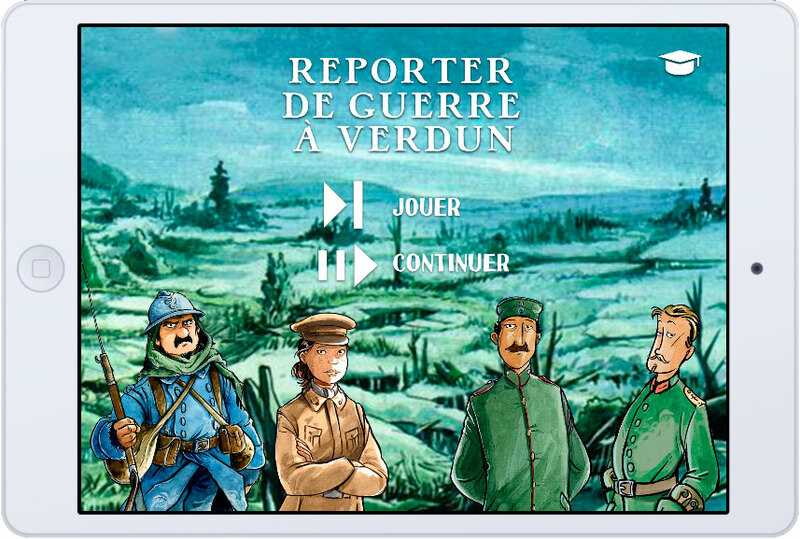 From May 2018, the Verdun Memorial will offer the “Verdun War reporter” app for primary school pupils to use when visiting the Memorial. 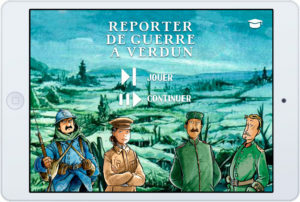 Using this “serious game” type app for iPad, pupils can take the role of war correspondent. 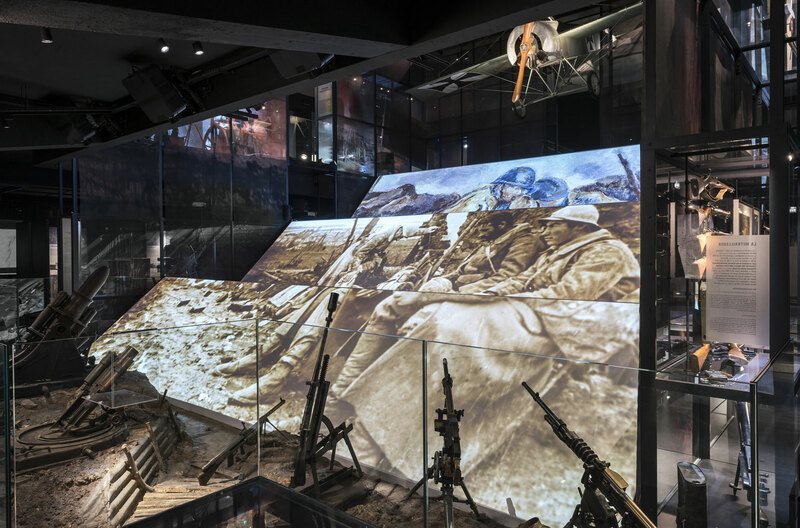 During their visit, they will meet a variety of imaginary or historical characters, stemming from the comic strip « Les Godillots » (© Olier & Marko-Bamboo Edition), who will help them learn about the Great War and understand the exhibits in the Memorial’s display cases. Tablets are available at the Memorial. * For thematic workshops, a rental fee of €50 / hour is included. See the page The Classroom. INFORMATION : Learning Ressource no longer taking over school groups until June, 2019. Unaccompanied tours are still possible. 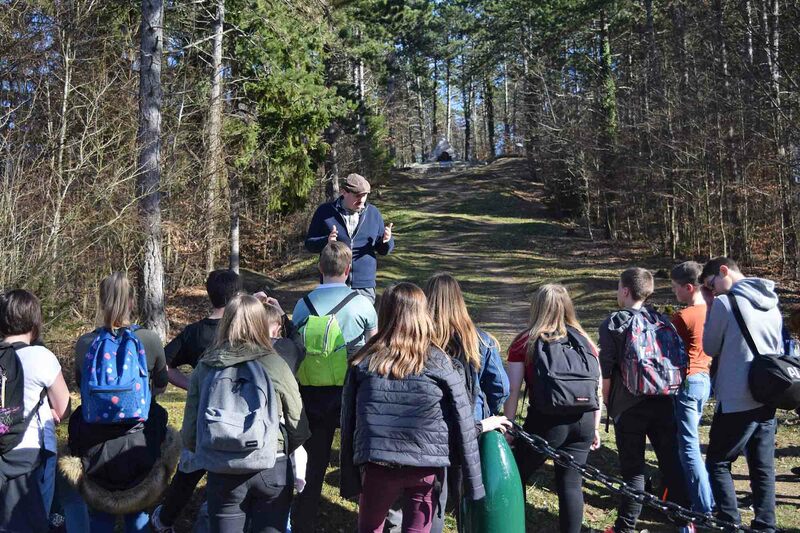 You can also organize a school trip on your own for you and your pupils, or use the services of a tour operator to help you plan the outing. The team will be organising workshops for primary teachers (contact IA-Meuse) and secondary teachers. The team also takes part in educational exhibitions organised by Canopé Meuse. Primary teachers can meet one of the teachers at such exhibitions to find out what activities are available.